We are professional Interior and Exterior Designers. Studio Barefoot is a Multidisciplinary Architecture, Interior Design, Landscaping Firm set-up in 2017. Srujan Reddy and Poojit Tata are joint Principal Architects of Studio Barefoot The Firm works at multiple scales and with various organizations right from private clients to corporates. This allows us to experiment and diversify the work. Principal Architects Srujan Reddy and Poojit Tata have graduated in 2017 and have set-up the firm with a vision to bring in a fresh perspective to the design community. The Firm strives to incorporate inspiring designs in each project, regardless of size and scale. Architecture has an acute ability to inspire and influence society. Studio Barefoot thrives to uphold the idea and deliver a honest and satisfactory product to the client. The firm has a dedicated and unique design approach for each project. Achieving a balance between functionality & aesthetics with context, climate, material , cost & time is the priority. GS Studio Design consultants is a Architecture firm based in Hyderabad, India. In its 8 year Practice so far, and it has been formed in 2010 by Ar.sreekanth.G, Gs studio design consultants' work is a profound commitment to finding innovative concept design solutions, with the dedication to contemporary projects and the potential of materials.This is achieved with the help of a working methodology and a spirit of curiosity an experimentation. Gs studio design consultants offers innovative concepts blending contemporary Style with local traditions of different states. Gs studio design consultants is a flexible and efficient partner in challenging projects with a dynamic and multidisciplinary team. We are leader in the local Architecture & Interior design market and have many satisfied customers as references. 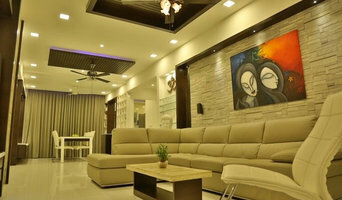 Our company is very well known for doing large scale residential projects & We have successfully completed projects in multiple cities, like Hyderabad, Bangloore,Visakhapatnam, Ananthpur, Thadipatri,Hindupur etc... Services : Design activity from Macro- level (Architecture, interiors,Landscape Architecture,Product design,Structures) to the Micro-level. To be recognised in the market place as a quality driven Interior Design & Architectural Design consultancy services.We strive to create innovative , creative , unique ,stylish yet practical and affordable solutions.There is nothing more important to us than the client and his satisfaction. VAID is the professional architectural design consultancy firm, of India. The company has grown from a modest three-person firm in 2008 to having a team strength of over 15 plus people consisting Senior Architects, Architects, Interior Designers, Landscape Designers, Site Engineers, 3D Visualizers & Photoshop , Artists, Drafts men, Support / Technical staff and Student Interns. The firm prides itself on unique design concept and bold execution, while remaining responsive to the clients’ diverse requirements, solutions are crafted appropriately to the needs of each client.VAID has successfully designed and executed works for clients ranging from real estate developers, public sector undertakings, corporations and institutions to health care entrepreneurs. In addition, residential complexes, hospitals, educational institutions, hotels, resorts , planning schemes have all been undertaken and completed . We are an architectural firm and provide all services related to architecture designing, space planning and interior designing consultancy. F+S Designs is a full-service Architecture and Interior design firm based in Hyderabad & Bangalore. We are driven by our design philosophy for progressive and elegant design, powered by a keen attention to detail and a view of the larger impact that the design affords. We listen intently. Our design is the product of our understanding of the aspirations and dreams of our clients. We nurture that dream to reality with dedication, a constant endeavor to innovate and a zeal to exceed expectations. Good design is a critical transformational catalyst in people's lives. It affects the way we live, work and play. And we take this responsibility seriously and with honesty of intent. More than anything else, we love a good challenge! Whatever the size, wherever our clients need us- we are geared up to deliver! Architectural and Interior Design Consultant We have been providing unique and innovative design solutions since the last 16 years. We strive to transform client’s ideas into aesthetically appealing designs which reflect the style and personality of the owner without compromising on functionality. Think Designz is a prestigious interior designing firm, interior design planning, interior and architectural planning & designing, home & office interior designing are a few of these services we offer for our prestigious clientele. THINK DESIGNZ IS THE BRAIN CHILD OF VARUN MEHTA AND RAHUL JAIN. Think Designz exemplifies creativity in every sense of the word. We create ambience's those are impressive and inspiring to all. THINK DESIGNZ HAS HOME & OFFICE INTERIOR DÉCOR SOLUTION FOR ALL ITS DISCERNING INTERIOR BEAUTY CONSCIOUS CUSTOMERS. WE PROVIDE A COMPLETE SOLUTION FOR ALL YOUR DESIGNING NEEDS BE IT YOUR HOME OR WORKPLACE. 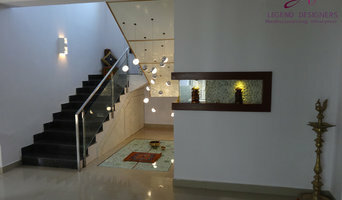 Manish Architects has one of the most innovative designs in Hyderabad. They offer small scale to large scale of services in architecture, interior design, urban planning and landscape. We have an excellent team of experienced professionals headed by residential, commercial, institutional and hospital, hotel, resort, renovation project. We work tirelessly with our team for the successful and satisfactory outcome for you, our clients. Dzine Home, design, create and deliver beautiful interiors for all environments, including investment property, private clients and show-homes. We offer a comprehensive range of services and products combined with our total commitment to the client. We have a continuous and proven track record of successfully managing projects of all sizes, from a single room design to a complete refurbishment. Our interior designers will work with you through every stage of your project. Combined with our integrated team of specialist craftsmen, they will provide you with a bespoke collection of products and services tailored to specifically meet every element of your project. By creating interiors of individual character and quality, and keeping our finger on the purse strings we provide our clients with excellent value for money without compromise on quality or service. 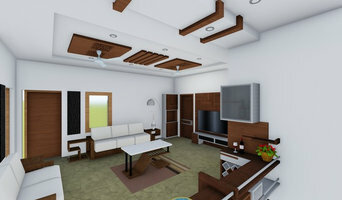 How do I find the best Hyderabad architect for my home design or renovation project? When building or renovating your home, you don't simply hire an architect or building designer — you build a relationship with them. Be sure you chose a home architect who will be involved in all phases of the design process, from the initial concept to the completed construction. Architecture is an incredibly technical profession and one where getting things wrong can literally put lives at risk, so ensure you hire a professional with a valid license or an architectural firm to maintain high quality and standards. Your next consideration will be architectural style. Some residential architects specialise in designing traditional homes or farmhouses, others in designing modern replicas of traditional homes. While a few have a knack for imagining bolder, more futuristic architectural design in Hyderabad that incorporates the latest technology. How much does hiring an architect in Hyderabad cost? Home construction and renovation often have a preset budget and hence it is important to understand how much architects charge. While there is no set payment structure, independent architects may charge differently from architectural firms. Architects sometimes choose to calculate their fees on the basis of a per square foot rate. In rare cases, especially with smaller projects, Hyderabad architects may choose to ask their clients for a fixed fee. Make sure the total figure and payment schedule is agreed as part of your contract, particularly if you are trying to accurately estimate the cost of building a house. Find a home architect in Hyderabad on Houzz. Narrow your search in the Find Pros section of the website to Hyderabad architects. You may also look through photos projects to find building designers in Hyderabad who have worked on a project similar to yours.